Magazines, social media, television, the mirror, your opinions. These are all the things that tore my self-esteem apart. I have struggled with my self-esteem since I was a child. I was bullied at a young age in regards to my size and the structure of my face specifically my forehead. I remember going home to my dad and telling him that this boy was so mean to me, the names he would call me still ring loudly in my ears. My father, being the man that he is would always hug me and remind me that God created me and there was nothing in this world that anyone could say or do that would take away the beauty that God had made. 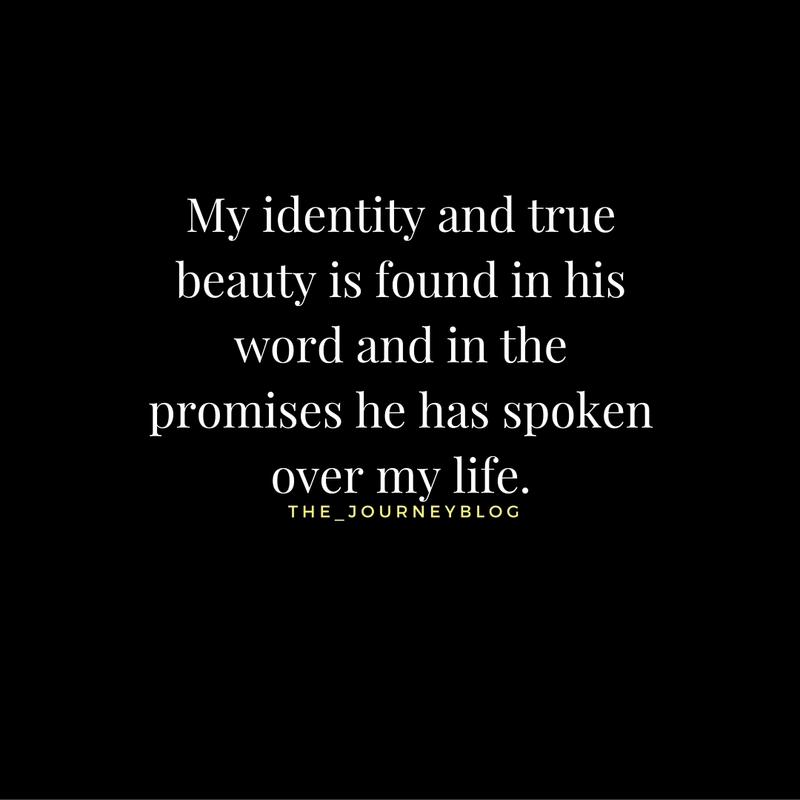 I wouldgo to school the next day and endure the same mistreatment and eventually I grew tired of hearing that God had made me beautiful because I began believing the negative words that were spoken over my life. From elementary school all the way through high school there was always someone, somewhere who would see my insecurity and use that to their advantage. I discovered that how I felt about myself had a lot to do with how I carried myself. If I felt unlovable or ugly then I gave out that vibe, I expected others to change the way I viewed myself. I didn’t want to do the work, I didn’t want to let go of the negative words, and I chose to wallow in my insecurity. No relationship, no amount of girl’s nights, random road trips or vacations could change the way I viewed myself. What I saw in the mirror was who God created me to be and I absolutely hated it. I am the smallest person in my family and as a child I was always protected and sheltered. I was born at 23 weeks weighing one pound and ten ounces; I fought for six months in the neonatal intensive care unit. I fought to live a life free from the limitations premature babies often have to grow up with. I fought to breathe on my own, I fought to maintain my weight and I fought for a chance to live. When others would tease me I would begin to second guess my existence. I always thought if they only knew what I had to endure as a baby would they really say those things to me. It was a deeper than the words it was the affect that the words had over me. It dug a hole deep down in my soul and there was no way I could possibly fix the damage that had been done. As I matured and became an adult I learned that God not only created me in his image but he ensured that there were unique qualities about me that no one could ever duplicate or erase. He showed me that the way I love others inspired me to not only see their potential but love them through the pain. He showed me that my heart is what really mattered to HIM and that what others saw was simply a shell of who I was. Deep down he had placed something inside of me that many people didn’t have access to, he validated me the day I was brought into this world. He gave me a testimony that not only encourages others but reminds me of his love. I am so glad that when God looks at me he doesn’t see the flaws; he doesn’t see the damage or the hurt that I allowed to come into my life. He simply sees my heart and it is beautiful. I have remind myself daily, that who God created me to be wasn’t based on other people’s opinions and it’s not found in a magazine. 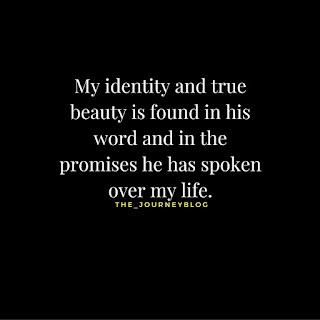 My identity and true beauty is found in his word and in the promises he has spoken over my life. Every day I have to wake up and make a conscious effort to fight the nonstop reel of negative memories that attempt to flood my mind. I have to make a choice to love the unlovable, broken pieces of me and to seek Christ when I begin to feel weak. No matter where you are or what you are dealing with, remember that Christ took his time when he made you. He thought out every piece of you and he is amazed at who you are. The person you are right now is just a glimpse of the beautiful work that God is going to do through you. Never for one moment doubt your existence on earth, learn to love yourself and let it go! 12:31 am…. Here I am wide awake just typing away. While my mind is going 1,000 miles per hour it’s in thismoment that I find a sense of peace and calm. It’s in this moment that Irealize that in order to be great I have to sacrifice sleep and I have to usethe time available to me to fight for my dream. I must remember that I have to keep fighting, I have a goaland I have a plan. God has given me something amazing and often times I have toget the thought or idea out right away. 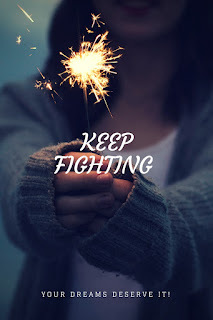 I have to keep fighting. I have to keepbelieving that one day these late nights and early mornings will pay off. Thereis someone, somewhere that needs this! They need something real to hold on to,they don’t want any clichés or fancy quotes they want the real deal. Someone somewhere is longing for someone tospeak directly to their dream. They need a reminder that their dream isn’t crazyand that it’s just within their reach. As I am writing this, I am currently fighting the urge towatch “Downton Abbey” or picking up the new book I just purchased last week. Iam always fighting whether it be a distraction or my own selfish desire toindulge in the latest social media feeds. But tonight I will fight the urge and stay upjust a little while longer so I can encourage you! No matter where you are right now in your life, I wrote thiswith YOU in mind. I want you to know that your dreams matter! It doesn’t matter how big or small your dreammay be IT MATTERS! If I would’ve given up on my dream you wouldn’t be readingthis blog post right now. If fear would’ve won this blog would not exist. But it’ssomething about a woman who doesn’t give up easily, a woman who fights throughit all just to give you a piece of her heart. My fear almost stopped me fromfighting, my fear of being vulnerable, honest, outspoken and real almostcrippled the dream God placed inside of me. But when you know God has given you a gift,you have to use it. So here I am using my gift to encourage your heart. You deserve everything that life has to offer you! You areworthy of a second chance and you are worthy of a life full of happiness andfulfillment. Your dream is worthfighting for and you must understand that it will take time and patience whengoing after your dream. We go through seasons and don’t ever think for one momentthat because things are delayed that your dream deserves to die. There wereplenty of times that I would pick up my laptop and start writing but never publishmy piece. I felt like it wasn’t good enough and believe it or not I still havethose moments. But instead of being frustrated or discouraged I simply presssave and close the document. Not every idea or piece of written material workedout and I had to realize that it was the “maybe pile” that helped me perfect mygift and ignited a fire inside of me!